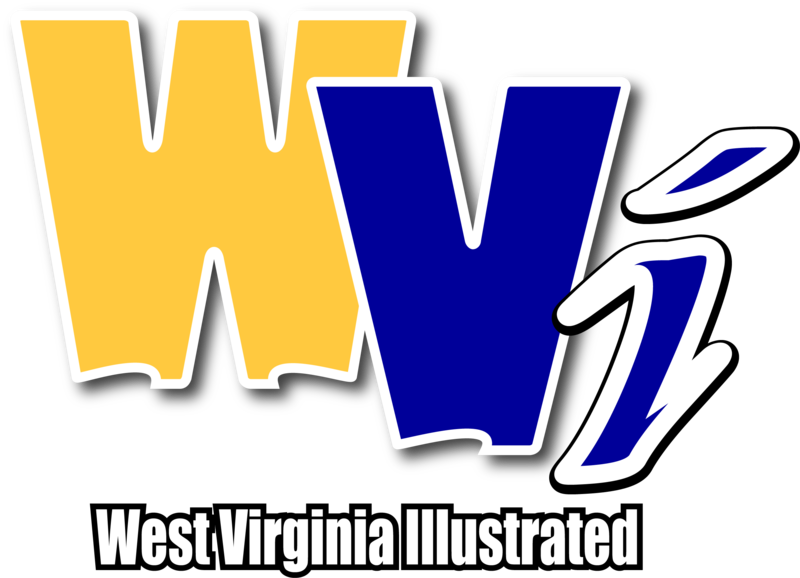 MORGANTOWN, W.Va. - West Virginia head coach Dana Holgorsen does not want to hear that true freshman running back Leddie Brown is a freshman. Brown is in his first year at WVU after graduating from Neumann-Goretti High School in Philadelphia. He’s played just a total of five career games at the college level. But in no way is Brown a freshman. Not to Holgorsen or anyone within the football program. “He don’t play like a freshman,” Holgorsen said. Two of Brown’s five games have resulted in 100-plus yard efforts, making him the first Mountaineer freshman running back to achieve that feat since former WVU great Noel Devine did it in 2007, when he surpassed 100 yards on three occasions, including a 108-yard performance in the Fiesta Bowl win over Oklahoma. Everyone within the program could see this type of production coming from Brown the second he stepped on campus. 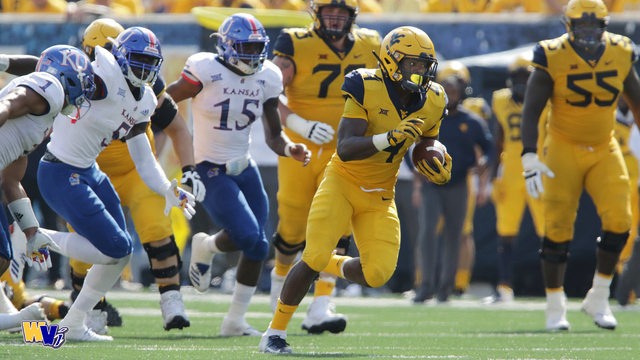 He has all of the talent, whether it’s with his speed, power or receiving ability, and all of that was on display in Saturday’s 38-22 victory against Kansas to help WVU remain perfect with a 5-0 record. Brown rushed for a team-high 107 yards and a touchdown on 11 carries, adding a 15-yard touchdown catch. All of the talent is there, but so is the attitude. He is mature beyond his years and acts like a veteran, not a first-year freshman. There are times when offensive coordinator Jake Spavital talks to him after a game when he gets a little dinged up. He asks if he’s doing alright. Brown says he’s fine and ensures he is by placing a heavy emphasis on getting treatment. And his work ethic is second-to-none, putting in that extra time to his craft just like he does with treatment. That confidence that the WVU coaching staff and players have in Brown goes for the entire running back room. Although redshirt freshman Alex Sinkfield has missed the last three games with an injury, it’s a very deep running back room that features four players that can make plays at any given moment. Junior Martell Pettaway has rushed for 70-plus yards once this season and started twice. Sinkfield has started once. Junior Kennedy McKoy has rushed for 70-plus yards and started the last two games. Brown has rushed for 100-plus yards twice and was the Offensive Champion for the Kansas game.